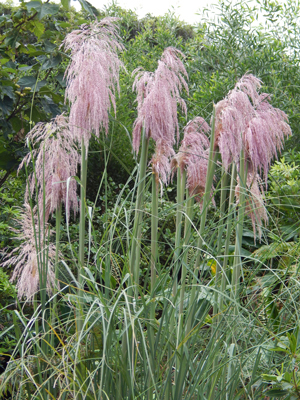 Pink pampass grass can easily be started from seed. Depending on your location, you might want to check if it's listed as an invasive plant. Use a mixture of equal parts peat moss and sand or a sterile seed-starting mixture in a 4-inch container. The soil needs to remain evenly moist, loose and well-drained. In the 4-inch container, plant five evenly spaced seeds on the soil surface, and leave the seeds uncovered. Seeds will require 4-6 weeks before the last frost of the spring for complete germination. Moisten the soil and then cover the container with a clear plastic bag, leaving enough room for sufficient air circulation. 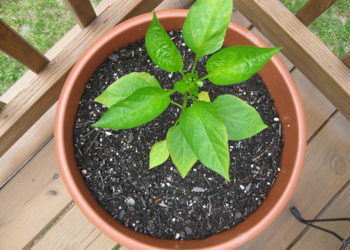 Straws can be inserted around the perimeter of the pot to help hold the plastic up off the soil. Place the container in a sunny location receiving around 6 hours of sun, and with an average temperature of 65-70 degrees. A seed warming mat or a spot near a vent will work. Water or mist daily to keep it evenly moist. Seeds should germinate within a week or two. Grasses can be transplanted outside after they reach 3 to 4 inches and the last chance of frost had passed.